Hurricane Michael made landfall in the Florida Panhandle on Wednesday and was classified a category 4 storm, the strongest the area has seen in over 40 years. Though it has since been downgraded to tropical storm classification, the area is still experiencing heavy winds as high as 75 mph, erosion, power outages, and a potential for flash flooding. As the storm continues its path across Florida and the southern United States, Monarch Air Group is ready to help. In anticipation of Hurricane Michael’s landfall, Monarch Air Group has set up a 24/7 operations center to provide airlift support, resupply, and other needs to the community being affected by the storm. 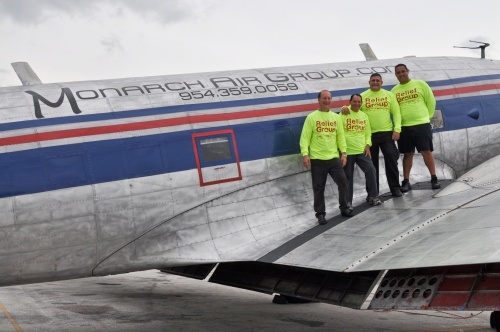 Monarch Air Group is highly experienced in providing relief during natural disasters – we regularly work with governments and NGOs to provide support and relief efforts to affected areas. Our Ft. Lauderdale-based team transported thousands of pounds of relief supplies to Puerto Rico in the wake of Hurricanes Maria and Irma in 2017, as well as airlifting those needing medical attention to South Florida. We also assisted Long Island and Deadman’s Cay in the Bahamas after Hurricane Irene in 2011 and were some of the first boots on the ground in Haiti after the 2010 earthquake. Based in South Florida, we have proudly served the Caribbean Basin area for over 10 years and are dedicated to using our resources to give back to the community in times of need. Our hardworking team has the knowledge, experience, and capabilities to immediately airlift supplies and personnel.